The NWHL’s Buffalo Beauts have made history with rising star, twenty-three-year-old Harrison Browne, who publicly came out as a Transman, after discussing his gender identity with his coaches at the University of Maine, where he graduated in 2014. Originally from Canada, he was recruited on a Division I hockey on scholarship. He felt that sense of authenticity during that night’s game against the Boston Pride, where he scored his team’s only point. 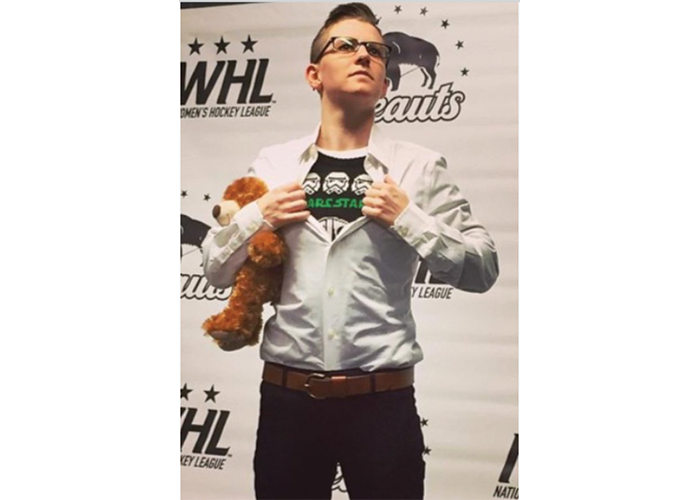 His original plans to begin to medically transition have been postponed while he explores what it’s like to be one of the pioneers in the National Women’s Hockey League which was formed in 2015. NWHL Commissioner Dani Rylan, who has expressed her support for Browne, is working with the league to craft a transgender-inclusive policy. In an interview with the Associated Press, Beauts coach and former NHL player, Ric Seiling, emphasized that Browne is the same player he’s always been. Browne, who also goes by the nickname Brownie, has not yet changed his legal name for visa purposes. Browne reports, “not closing the door” to the possibility of trying out for the NHL, depending on how his body transitions.